Although you know your horse shouldn’t carry excess weight, it can be a real challenge to recognise what healthy condition looks like. It’s also becoming increasingly normal to see horses carrying more weight than they should. An overweight horse may not only have a poor quality of life, but is also at a higher risk of a number of health problems. 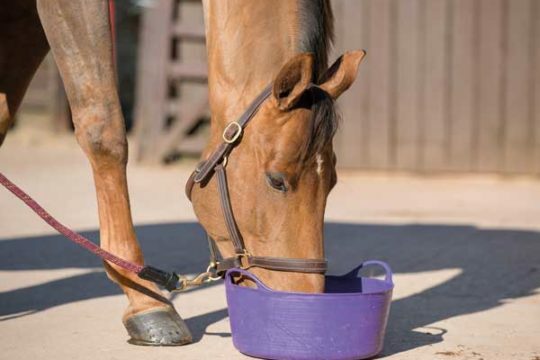 Excess weight is one of the most common triggers of laminitis and there’s also a clear link between it and equine metabolic syndrome (EMS), which is another key cause of laminitis. Carrying excess weight also places extra strain on your horse’s heart and lungs, as well as added pressure on his limbs and joints. He’ll be less able to perform well in his ridden work and, in addition to carrying his own extra weight, he has to carry you and your tack, too. It’s important to understand what you’re trying to assess – knowing your horse’s actual weight is useful, but it can be hard to tell if this is appropriate for him. Although guideline weight to height ranges exist, there’s so much variety within horse body types that these are of limited value. A weightape provides a good tool for monitoring weight and identifying changes, but remember this doesn’t reflect condition. The most accurate weightapes have a horse and a pony side so you can choose the correct one according to your horse’s height. A combination of fat scoring and using a weightape is ideal for ongoing weight management. Top top – If you have access to a weighbridge this is a good tool for monitoring changes in weight and will provide a more accurate measurement than a weightape. how much feed does your horse have each day, including grass and hay? ×for how many hours is he turned out? how much exercise does he do? does he wear a rug? Weight loss isn’t just about feeding less, so any plan needs to cover all aspects of your horse’s lifestyle. Looking at the current situation will help you see where a few small changes can make a big difference. You don’t necessarily have to devote hours each week to increasing his exercise. Did you know? 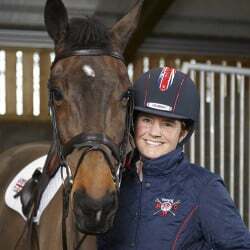 Never crash diet an overweight horse or you could put him at risk of hyperlipaemia, an often fatal condition that causes fat cells to flood the bloodstream, overloading the body’s ability to cope. Consider whether you really need to give your horse hard feed and, if so, whether it’s appropriate for his workload. If your yard has a feeding routine or if you like to reward him after work, then a good alternative can be to feed him a low-calorie, super-concentrated pelleted balancer. You can offer this as a treat or in a bucket so he won’t feel he’s missing out, without adding unwanted calories to his diet. If you need a carrier feed for a powdered supplement, choose a low-calorie one and measure it accurately so you know you’re feeding the right amount. Weigh your forage using a hanging scale and soak hay for several hours to reduce its calorie content – get advice from a nutritionist about the best way to approach this for maximum effect. You can add bulk to a haynet without extra calories by mixing it with good-quality oat or barley straw, but take advice from a nutritionist or your vet as this isn’t suitable for all horses, particularly those with poor teeth. Using small-holed haynets will help make forage last longer and you can even put one haynet inside another so it’s more of a challenge for your horse to eat. To help relieve boredom while on a limited ration, try dividing the forage between two or three nets spread around your horse’s field or stable. Top tip – If you don’t have access to weighing scales at your yard, weigh out his feed at home the first time and mark the correct amount on a cup or scoop for ongoing use. Alternatively, put the feed in a carrier bag and weigh it using your hanging scale. Limiting the time your horse spends in the field isn’t always the best way to help him lose weight, because sometimes horses with limited grazing time eat at a faster rate and, therefore, consume more than they would if they stayed out for the full day. 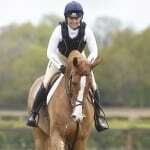 A better option can be to reduce the area of grass your horse has access to, rather than the time he’s turned out. gateway at the other, and if additional low-calorie forage is needed, you can leave piles of it at different points around the track so your horse has to keep moving in order to find his food and drink. Strip-grazing can be effective at limiting the amount of grass available, although don’t be tempted to move the fencing very much each day – keep an eye on the number of droppings to help you regulate this. 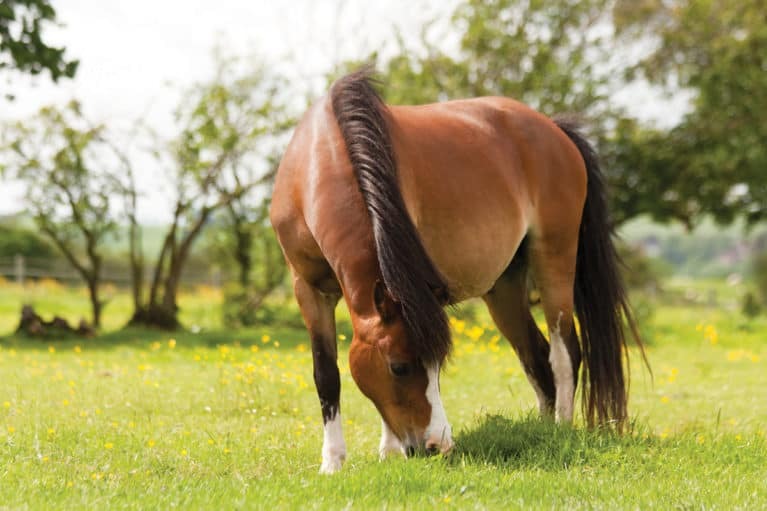 Alternatives include letting another horse graze the paddock first, so your dieter isn’t going straight onto lush grass, and grazing more horses on one paddock or other grazing animals such as sheep, but if you do this be aware that it takes careful management. Turning your good-doer out with a more active companion is an easy way to get him moving around and burning some energy. 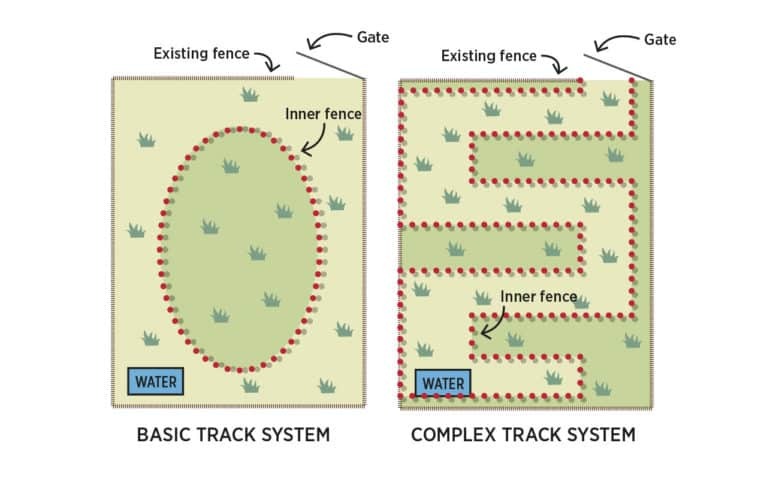 Another option is to provide turnout without grass, such as an all-weather arena, or a bark or sand paddock so your horse can go out without taking on additional calories. However, it’s important to supplement his intake with low-calorie forage if you’re using any of these options. 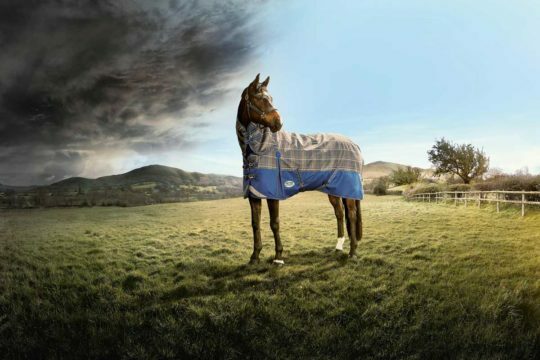 Most horses are naturally very well-equipped to cope with British weather conditions without needing extra protection from rugs. When you provide artificial protection in this way, your horse will expend much less energy, if any, on keeping himself warm. Consider whether your horse really needs to be wearing a rug – it might help his weight loss to go without. Exercise is undoubtedly one of the most important factors in a weight-loss programme. Activities that result in a prolonged increase in heart rate will be most effective, but any exercise is better than none. 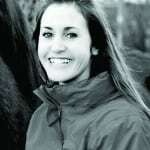 There is no preordained amount you should be doing, it depends on individual circumstances, such as the amount of weight your horse needs to lose, his fitness and physical condition, and the amount of time you have. Don’t be put off if your horse can’t be ridden, because in-hand power walking or using a horse walker can be a great way to introduce more exercise into his routine and build up the level of exercise he receives and, in turn, his fitness. Horse agility can also be a fun way to exercise your horse from the ground – not only will it help develop your bond, but it can also play a part in desensitising. Top tip – There’s plenty of advice and support available to help you, visit worldhorsewelfare.org/right-weight for more information or call the advice line on 01953 497238. Every small change will make a difference, so find management options that work for you and your horse and that you’ll be able to stick to. It’s important to be consistent and monitor your results. One programme may be effective for a few weeks, but if his weight loss has plateaued, consider other changes you can make to ensure you keep seeing the results your horse needs. Equine weight management is no easy task, but it’s vital to safeguard your horse’s health and quality of life.